1. We will watch the video clip above to understand how our bodies react when we are afraid. Watch the video full screen and then discuss our physiological response. Most TV shows have stereotypical views of Monsters, but on a deeper level, anyone can be a monster, a killer, etc... After the Nuremberg trials where top Nazi's were placed on trial, the term "Banality of Evil" was coined. It means that Evil looks very plain and normal, like some of the Top Nazi's who looked like any other Human. 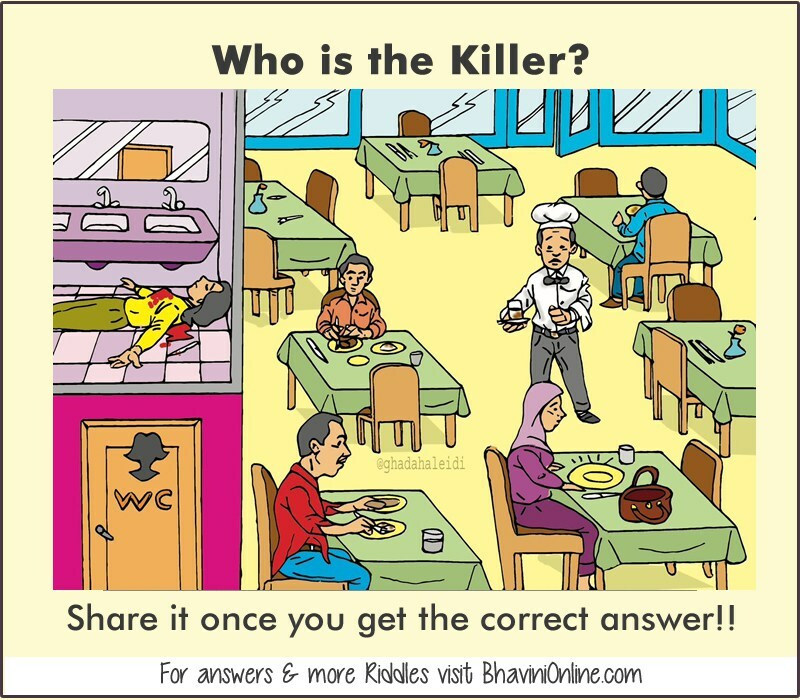 ​So let's try an exercise - can you identify the Killer below and Justify. Conceptual Undestanding: Character and Genre impact Perspective and Social Construction of Reality. What does this mean? 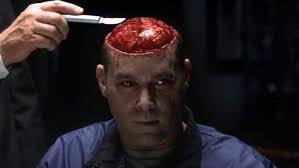 In a horror story/text/film, characters (Frankenstein, Dracula, Slenderman) developed and the Genre (horror) impact Perspective (point of view / lens through which the world is seen) on what reality really is. 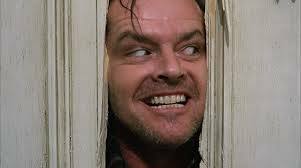 What qualities make an effective horror story? What social fears do monsters represent? Why do people like Horror stories? What is the definition of a Monster? Why are people interested in Monsters? 1. Hook - Horror manifests itself across mediums, from Art, to Film, to Literature, to Oral Story Telling -- Examine one of these art piece and we will use the concepts of artful thinking. Discuss with a partner, : I see, I think, I wonder. Activity: Start with a horror movie picture or video and ask, is this plausible or possible.... explain/debate why.... Partner A/B and then discuss as a class. Discuss - why do people like/watch horror? 1. Define fear – place definition on the board. Or the start of a powerpoint. Definition : Fear is a distressing negative sensation induced by a perceived threat. It is a basic survival mechanism occurring in response to a specific stimulus, such as pain or the threat of danger. ​2. What do students think are the top ten fears people have. Guiding Questions: What is fear? Flight or fight? What are you afraid of? Think for a moment, then get with a shoulder partner and talk about what you are afraid of. Where does it come from? 3. Class Discussion -- Open this up for discussion – what are some people afraid of? ​4. 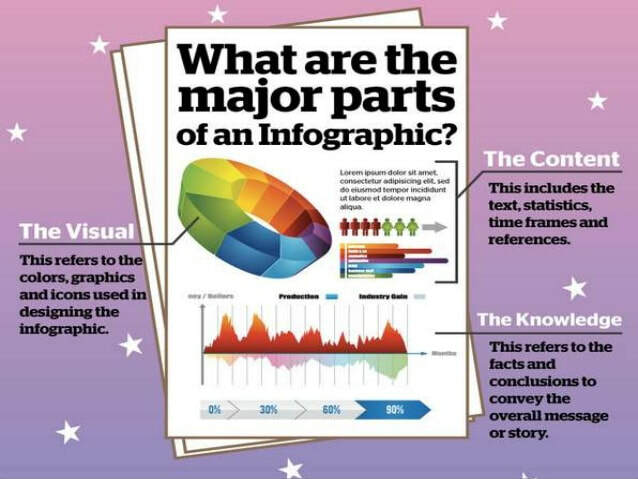 Activity – Read how do we approach an infographic. -Ask students what the greatest fears of people are. -have students guess what is the top 10 teen fears? 6. Name of our fears Review: Place a fear on each student's back. They must walk around asking "yes" or "No" only questions to eventually determine which fear they are. Once done, come get a new one. Vocab building and strategic question asking game. We will compare and contrast. A. What is the Monster? B. 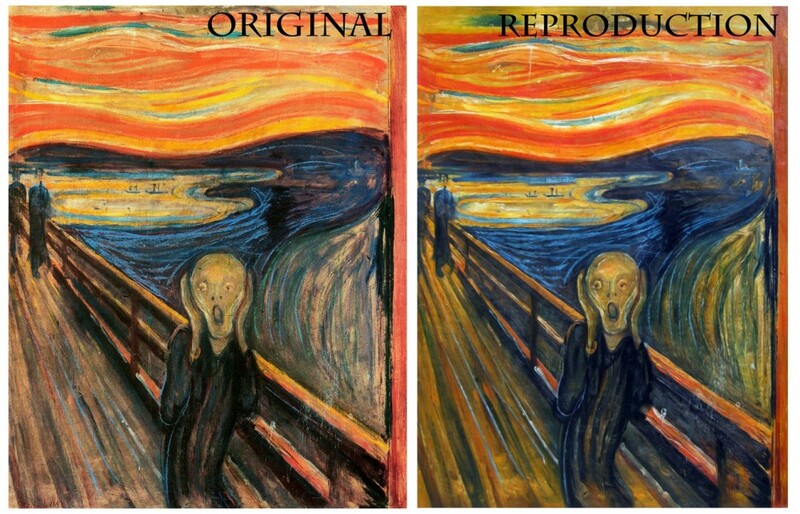 Why is it different in each film? C. What Social Fears does the film / monster / character represent? D. What are the elements that make this a good horror video? Or what elements do not make it effective? E. Three way debate - have students choose one of the following statements and sit with peers who agree. Debate. F. Does the monster really exist? 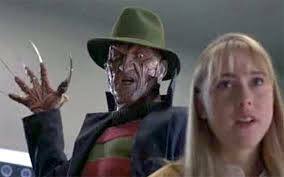 Alternative Films that we could watch if the class does not wish to see Nightmare at 20,000 Feet. 1. Students choose a non-fiction article that deals with Monsters. They will conduct an "Information Circle." Choose one of the roles from the information circle roles handout to conduct with an article of your choice. I will have multiple copies of each article. The only rule is that at least one other person needs to read the article for you to choose it so that students have someone to discuss with. Mr. Fitton will provide a brief overview of each article, show the number of pages and size of the font, and number of pictures. If students don't like the article, choose another one! 1. See the assignment and history lesson below that we will examine in conjunction with "Shaun of the Dead" as a comedy-horror Genre example of the societal fears that zombies represent. We will highlight specific scenes while examining history and its parallels on the large and small screen. If we cannot find a "clean" version or the TV edit version we will not be able to watch it since it contains a lot of offensive language. 2. Conduct a Lit Circle on the film. See handout below. 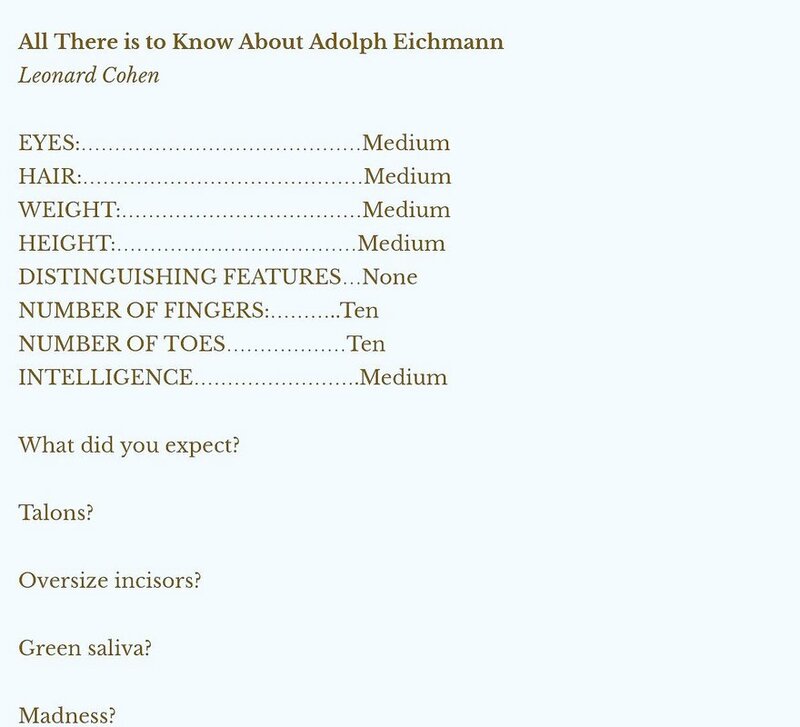 First, we will read the Poem "All There is to know about Adolf Eichman" by Leonard Cohen. After WW2 - people asked the question, how could Germany, a nation known for its fine art and intellectual philosophies be responsible for the Holocaust. 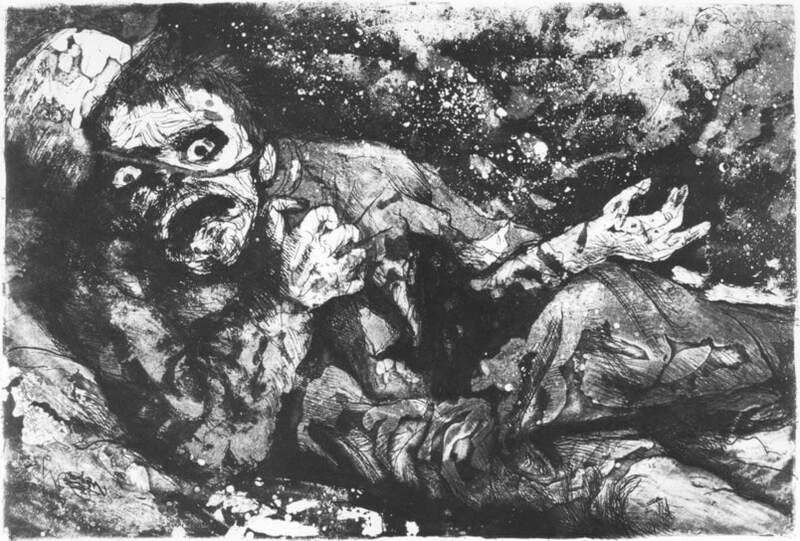 The term "The Banality of Evil" was developed. Leonard Cohen participates in this dialogue in his poem where he describes Adolf Eichmann, the architect of the Holocaust who once said "regret is something for little children." ​Let's look at Eichmann - tell me what he looks like. Describe as a class. 2. We will view some slam Poetry "Why Does This Man's Grandfather Fight Monsters?" - We will discuss the video (students must make a comment or as a question - we will circle up.) Also, this is the type of thing students can do as their final creative project for this unit - A Spoken Word Poem. 3. Let's examine and annotate a song. 4. What social fear is the song highlighting ? If you are struggling, I have the lyrics to two songs available. 1. Go over the Unit Assignment - See handout below. Students have a great deal of autonomy and numerous options for the assessment piece of this unit. This is a Self-Help component + non-ficton component where we will examine fears and how to overcome them. 1. Our counselling staff will come and help us with some techniques for dealing with the anxiety that will result from fear. 2. Mr. Fitton will show a powerpoint on fear. ​3. Let's watch a youtube video on Fear. Non-Fiction: Articles, Zombie/garden gnome, ninja articles, monster articles --- Zombie Lesson; Defining fears. Self-Help - Think of a personal monster- what are your plans to deal with it?